York studio, 1987. Photo: Jan Staller. 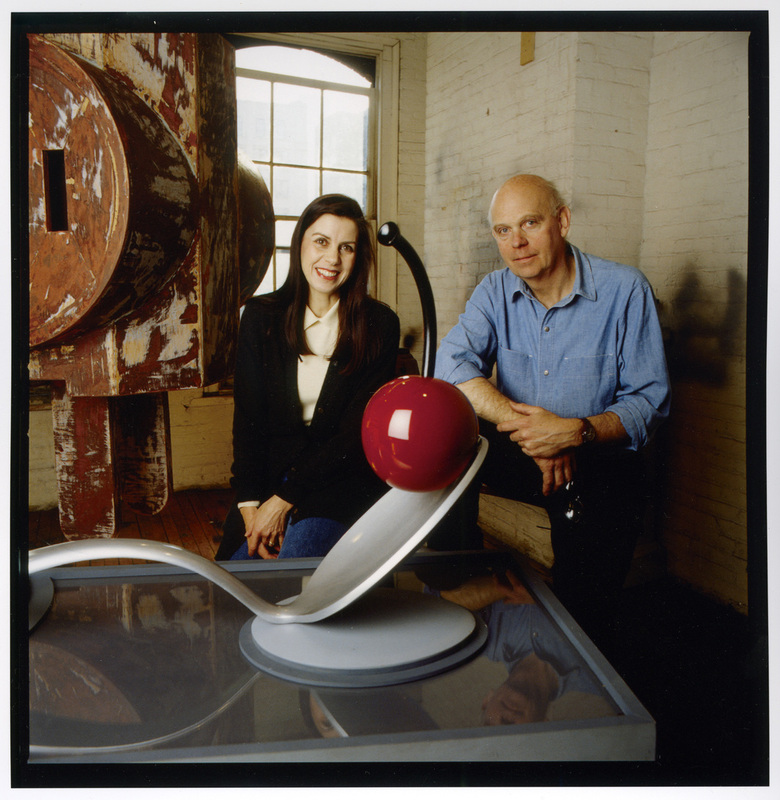 The Getty Research Institute (GRI) announced today it has acquired the complete archives of artist Claes Oldenburg and his collaborator and wife Coosje van Bruggen, a noted curator, artist, and art historian. The collection comprises substantial materials from every period of Oldenburg’s career, as well as extensive documentation of the large-scale public monuments that the couple developed together between 1976 and 2009. Oldenburg’s individual archive includes more than 2,000 sketches and collages, 450 diaries and notebooks, correspondence, photography, ephemera, audiovisual materials and plans and templates for various projects. Beginning in 1956 and continuing to the present, the diaries chronicle Oldenburg’s daily activities, including projects he worked on, people he met, what he read, social engagements, and reflections on his work and the work of his contemporaries. Van Bruggen was trained as an art historian at the Rijksuniversiteit in Groningen. Over the years, she worked as assistant curator for painting and sculpture at the Stedelijk Museum in Amsterdam, taught art history at the Enschede Academy of Visual Arts, and served on the curatorial team for Documenta 7 in 1982. She also wrote monographs on John Baldessari, Bruce Nauman, Hanne Darboven, and Frank Gehry’s Guggenheim Museum Bilbao. With Oldenburg, she would design and produce more than three dozen large-scale monuments at sites such as civic centers, museums, and public parks across the globe.